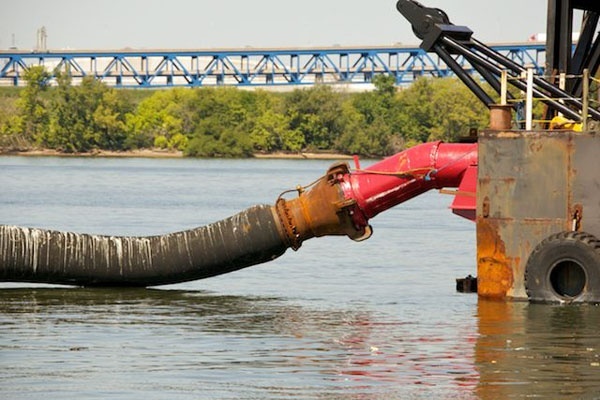 More than 20 years after planning started for the deepening of the Delaware River, dredging of the nearly 12-mile section between the Walt Whitman Bridge and the Philadelphia International Airport started this week. The dredging vessel is currently floating in the river across from the Aker Philadelphia Shipyard. On Sunday, it started the process of deepening the section of the river from 40 feet to 45 feet so larger container ships and vessels laden with more cargo can reach the port of Philadelphia. 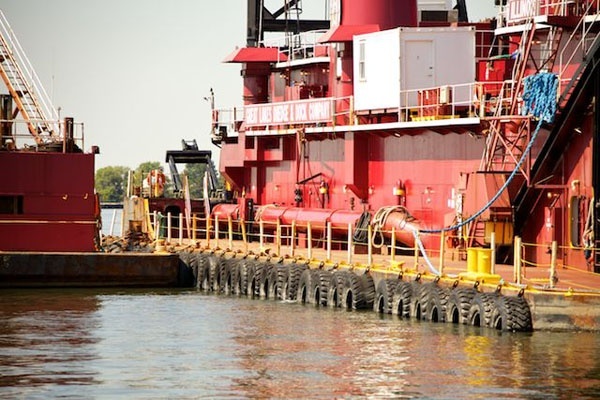 The 220-foot dredging vessel is painted a school-house red and has a floating tail of tubing snaking out of the back. 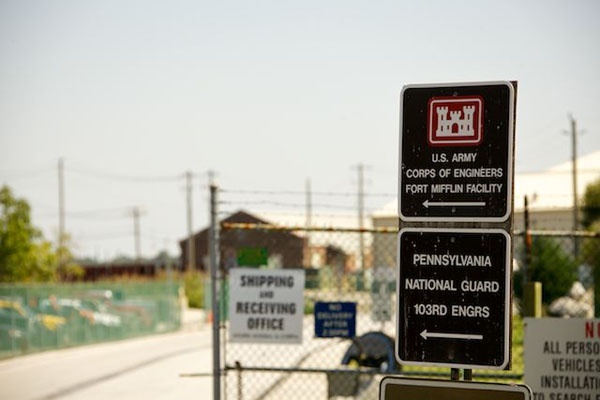 Tony DePasquale, chief of operations for the Philadelphia district of the U.S. Army Corps of Engineers, explained the real action takes place a few feet beneath the river bed. “Imagine an attachment on a vacuum cleaner, the long attachment that can reach into small spaces,” DePasquale said. At the end is a massive, spiked, drill-shaped attachment that burrows beneath the riverbed to loosen up sediment. “And it’s spinning, and in the center of that spinning is where the hole is where the material is sucked through,” DePasquale said. A thousand dump-truck loads a day of silt are sucked into the tail-like tubing at the back of the boat and piped a mile or so away, mostly underwater, to a disposal site in the borough of National Park, N.J.
As the dredging progresses throughout the reach, the sludge will be piped longer and longer distances to reach the same federal disposal site. 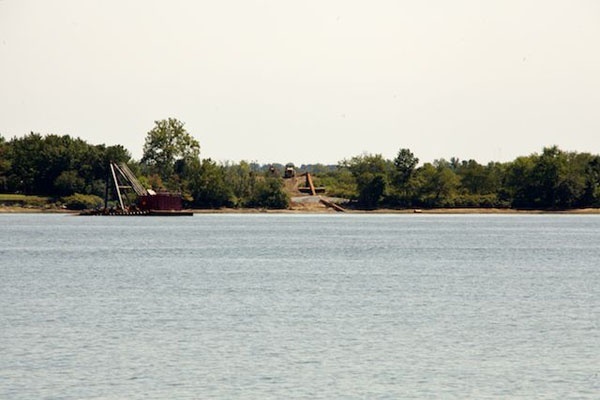 The dredging started Sunday but was on hold as of Wednesday afternoon as contractors removed, unclogged, and reattached sections of disposal tubing that had become blocked. The deepening has been a long time coming, and has been a part of DePasquale’ life since he was a college student in the mid-’80s. Congress authorized the dredging in 1992 but it has been hampered by delays. 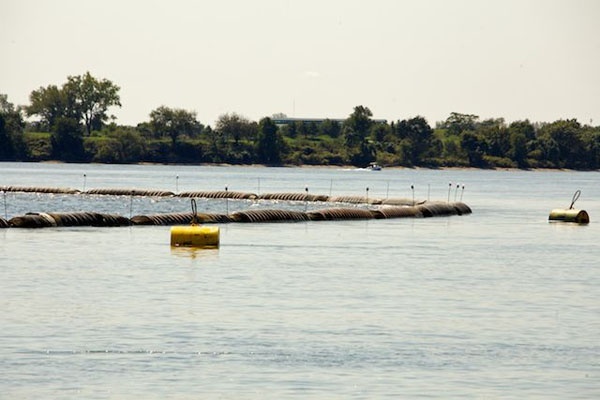 New Jersey officials have protested the dredging, largely on environmental grounds, and the Army Corps has faced legal challenges and long waits for federal funding. 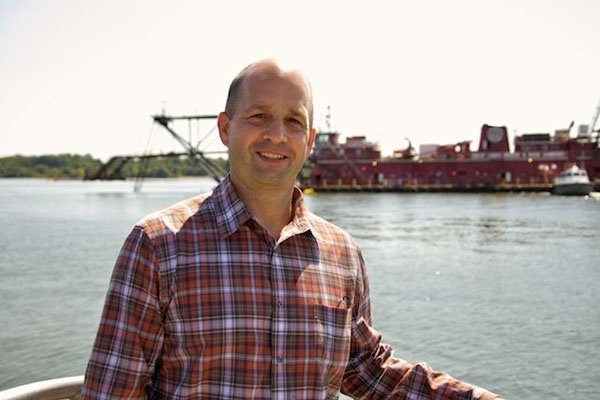 Delaware Riverkeeper Maya van Rossum was among those who sued to stop the dredging, on the grounds that it would hurt the sensitive ecology of the river. After a loss in an appeals court this summer, she said the coalition will not take the case to the Supreme Court. It is, however, looking for other ways to halt the project. Boosters of the project, including Pennsylvania Gov. Tom Corbett, say increased shipping will bring tens of thousands of jobs and millions of dollars to the region. Especially, he said, since Baltimore’s port is already 50 feet deep, and New York is in the process of deepening its port to the same depth. A 16-mile section of the river south of around Wilmington has already been dredged. 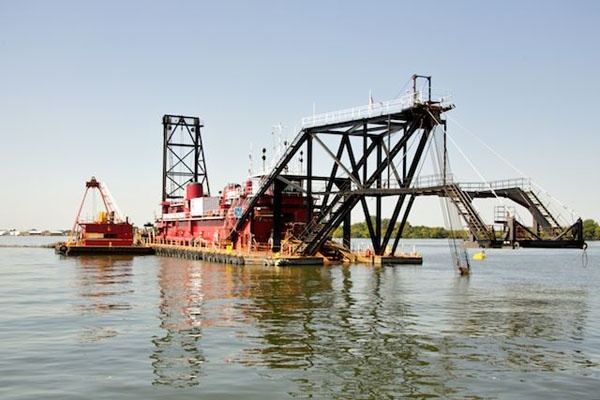 The Army Corps of Engineers hopes to complete the entire 102-mile deepening project by 2017. Construction costs alone will reach more than $260 million.